Delicious Drip: All Summer. | Pulp and Circumstance, Juiced. Humble blogger, at this point, could care this if this track was created as a result of corporate need to sell goods; at least the goods are ones I like–namely Converse Sneakers, of which I’ve got a whopping 15 pair, even beautiful wingtip ones. Nonetheless, Kid Cudi, Best Coast and Rostam Batmanglij have teamed up for the brilliantly addictive summer tune, aptly named “All Summer”. It will have you at opening kick and lick, seriously. 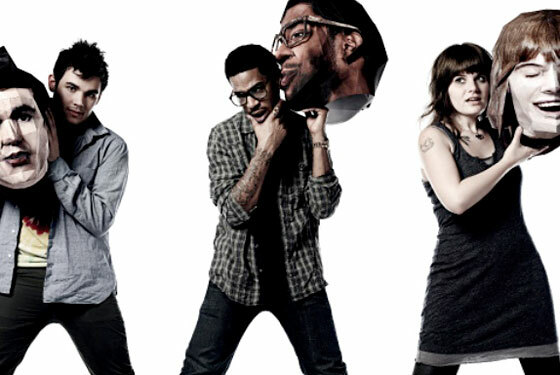 You’ve got a well-balanced blend of Cudi’ spitting and Bethany Cosentino of Best Coast working her beautious vocals. Of course, Batmanglij had hands all over production. Converse is pretty smart to have done this; getting us here bloggers to drool all over these tracks and promote them, means they, in turn, get to push product. You can read all about it at Vulture/NY Magazine. This entry was posted in Delicious Drip, jwolf and tagged Best Coast, Kid Cudi, Rostam Batmangli. Bookmark the permalink. Pingback: Delicious Drip: I Didn’t Know What Love Was. « Pulp and Circumstance, Juiced.